Sculpture Size: 4.75 X 10.25 X 5 in. 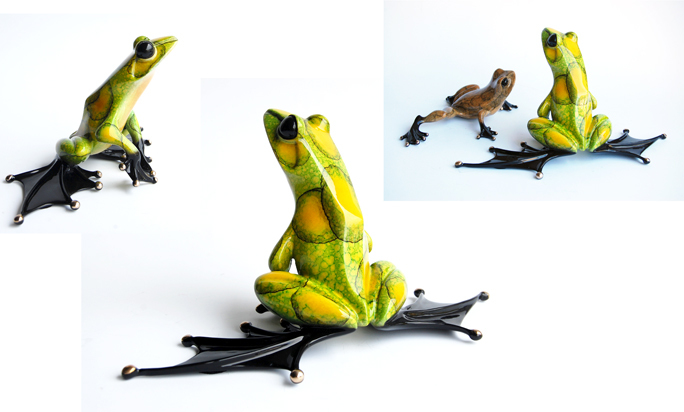 Very zesty yellow on yellow-green patina brings this bold fellow to life. "Jump Start" has very stylized, large feet, reminiscent of Tim's early frogs. An impressive sculpture indeed! "Toady" is shown for scale only--not included in purchase price.